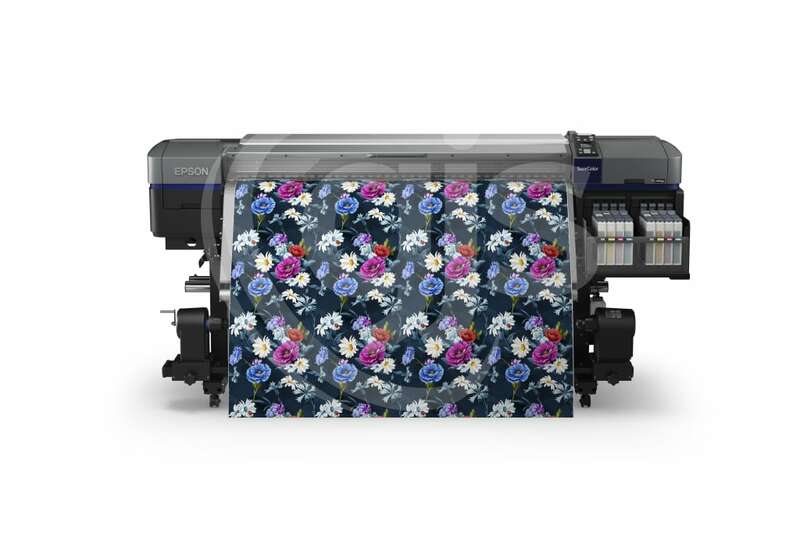 The SureColor F9360 is a high-speed 64” wide format dye sublimation printer, incorporating the very latest imaging technology to enable production at outstanding speed with superior quality for high volume textile printing. 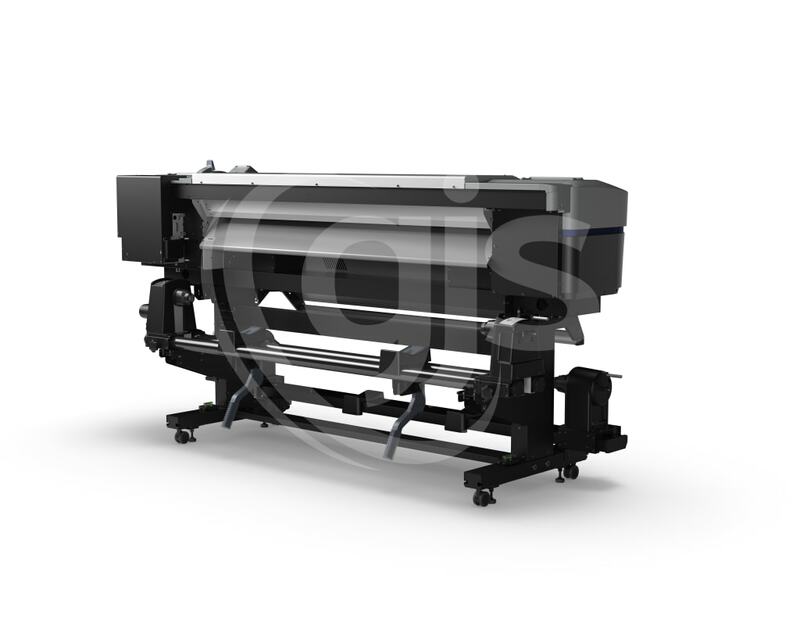 It features roll media support and a high-capacity continuous ink supply system for those printing on longer fabric or doing larger runs. 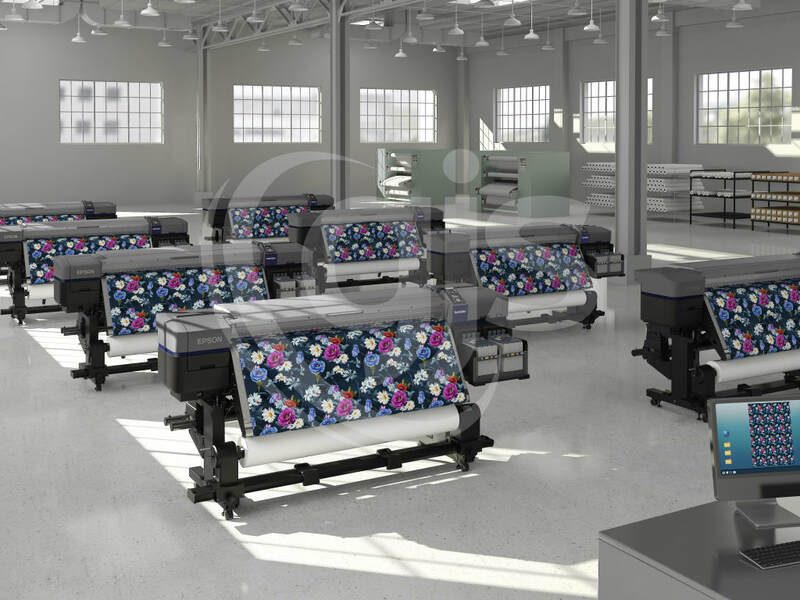 Epson has designed the SC-F9360 for roll-to-roll operation in conjunction with a calendar heat press to enable high-quality, mass-production of soft signage, custom clothing and fabrics. High-quality textiles with superb colour and clarity can be created quickly thanks to Epson’s PrecisionCore technology and two TFP printheads. These work in tandem with an optional high-density HDK Black ink, the latest addition to the UltraChrome DS ink range, which has been developed for use in textile printing to produce deep, neutral blacks and dense shadows. 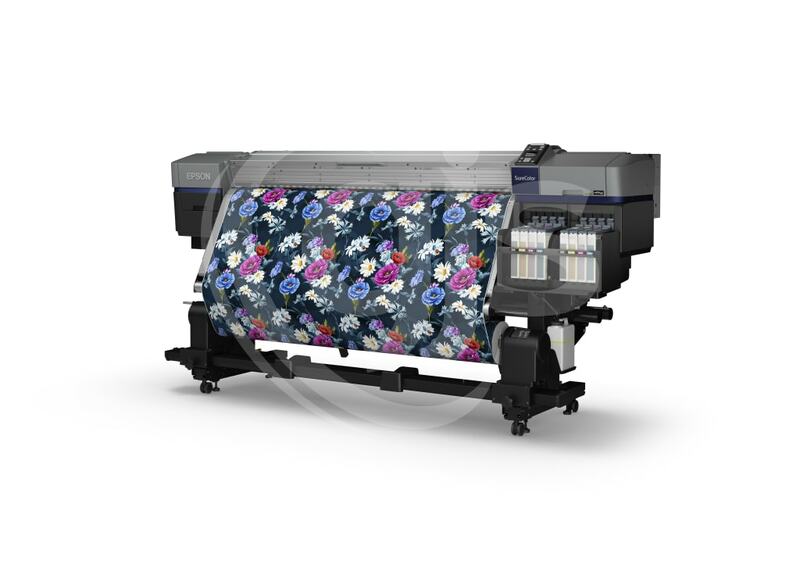 The SC-F9360 has a standard print mode for normal high speed output and a new HQ MODE for premium fabric and solid surface work with super-fine detail and exceptional colour gradation. Two high-capacity ink supply systems mean printers will benefit from longer, uninterrupted print runs and less down time spent replacing inks, while the use of Epson UltraChrome DS inks mean maintenance and cleaning needs are low. 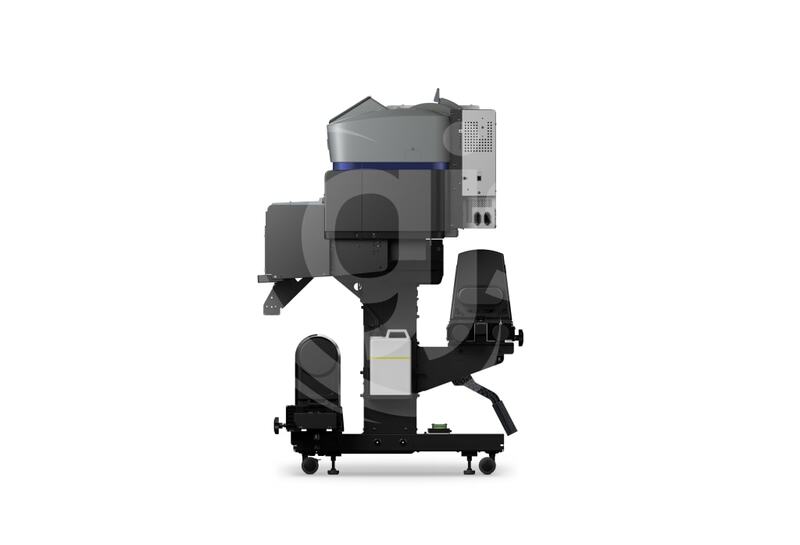 Additionally, a large heater and optional air dryer can be incorporated into the solution, ensuring products are in optimal condition for winding on to the automated take-up system. Inks and ErgoSoft RIP software (Pro Epson Sublimation Edition) for the printer are sold separately. Edge Print RIP software is designed to help you get the best possible results from your Epson wide format dye sublimation printer, quickly and efficiently. With simple setup and no need for a dongle, Edge Print runs on Windows and allows users to manage up to four Epson F-Series printers, including the SureColor F6200, F7200 and F9200 dye sublimation printers. 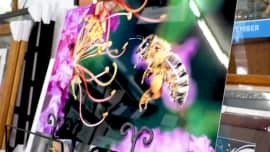 Epson Edge Print incorporates Adobe's Postscript core engine for quality imaging of a variety of file formats including PS, EPS, PDF, TIFF, JPEG and PNG files. In addition to providing simple file management, colour control and screening, Edge Print incorporates all the functionalities required to preview and process images with basic functions such as copy, position, trim and nesting, as well as advanced tiling, step and repeat. Printer, Media Supply System (MSS), Continuous Ink Supply System (CISS), 1 x 64” Roll of Epson Multi- Purpose Transfer Media, 1 x Maintenance Kit, 1 x Carriage Rod Grease Kit, Set-up guide, Epson Edge Print Software (CD), Operator Guide & Utility software (CD). Some configurations also include Ergosoft RIP Software (Epson Edition). Important: No ink is included with the printer; 2 x KDk starter Packs should be ordered separately. An appropriate heat press will need to be sourced separately and an ancilliary heater unit is recommended for high speed operation. Always keen to offer its customers the latest in photographic printing options, Griffith Camera House recently embraced dye sublimation and incorporated ChromaLuxe photo panels into its diverse range of solution offerings.